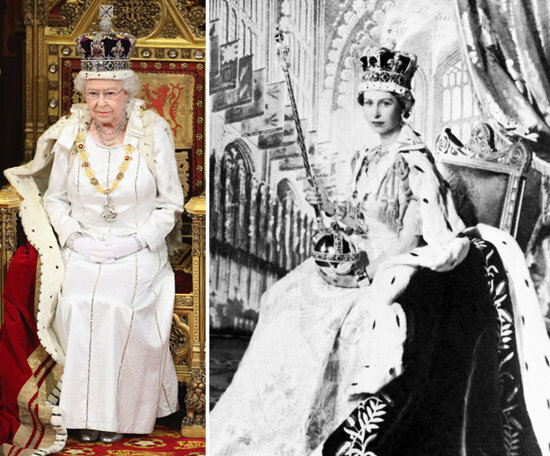 I have a particular interest in the robe, dress-coat and cape and Queen Elizabeth II is a doyenne of this dress code. 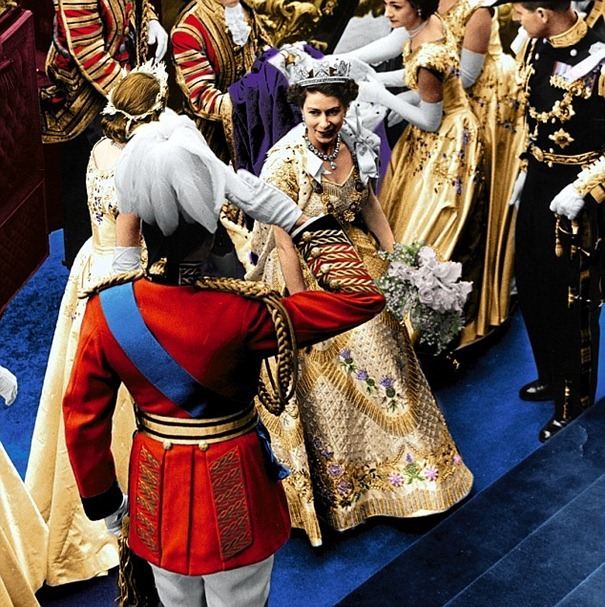 This is The Queen serene in a silk dress coat during a tour of India and Pakistan in 1961. This is a robe created from a gift of fabric received during a state visit to the Middle East and Queen Elizabeth wore this robe during her state visit to Slovenia in 2008. 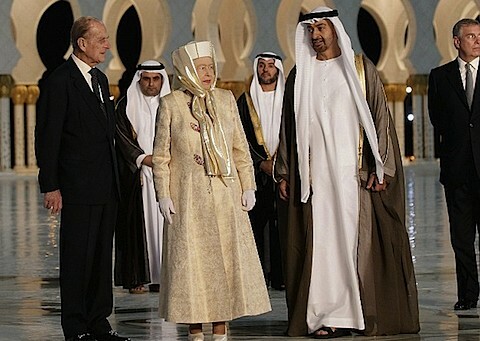 This is The Good Lady with a respectful head coverage during a visit to a mosque in UAE in 2010.